We’ll have more on tonight’s show coming up but if you were in the house tell us what it was like and post your photos below. 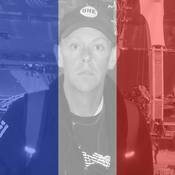 Just watched the HBO live broadcast in the UK and brought back the flood of emotion from that night in Paris. Four guys from the North Side of Dublin, proving once again that perfect love will ALWAYS defeat fear. We will not become a monster to defeat a monster. There is no them; there's only us.....and we will Love You All The Time. Amen Brothers. such a brilliant moment shared with so many people from all over the world! felt privileged to be there. The whole show was extremely precise and professional and yet warm and full of the spirit of togetherness and openness to different ways to live our own life. Definitely agree on the "stronger than fear" necessity. U2 music is always along every day of my life and will stay the same. I saw the show on HBO. It was excellent. Asked my girls (8 and 11 yrs old) if they wanted to watch - it brought back fun memories for them as they had attended their first concert ever, seeing U2 at MSG in NYC on July 31 (by the way, thanks for arranging to have Bruce at that show - a real and very special treat!). 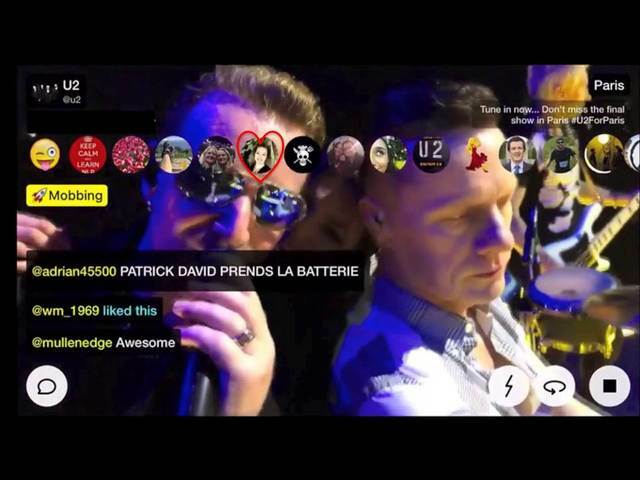 As the this Paris show was ending, I figured that the Eagles of Death Metal might come on stage, as nothing is a secret these days with instant everything. Anticipating this, I quickly explained to my kids who the EODM are and the connection that U2 and EODM have. To them another performer on stage was 'expected'. Since Bruce came on stage in NYC at , it was not a surprise that another group of musicians would show up on stage in Paris! And it was quite a rendition of "People Have the Power". But it got even better. When U2 turned their stage over to EODM for the final song of the night - it was one of those moments in rock and roll history that will forever be remembered. My kids appreciated the significance of that action. 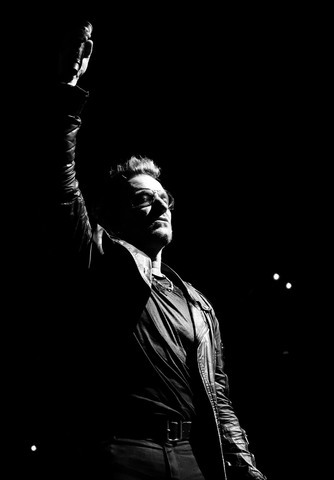 Thank you U2 for showing that even famous musicians of extraordinary talent can and do have humility. It demonstrates what I thought, but now know for certain: U2 are a class act. Friday got the ticket, Saturday booked the bus. 2000 km and 25 hours of travel in two days, to be all together in Paris (from Cremona, Italy). U2 thanks for giving me the opportunity, giving me the energy and the courage to to make this journey, which has allowed me to live this experience, to feel these emotions. Even if you are traveling alone you have the knowledge that on arrival you will find people, you will make new friends, you will hear new stories and you will find four men on stage for which you realize you do crazy things, but that make you incredibly happy. Thank you for doing the right thing in keeping the light of love, and faith in the future, alive !!! Thank you U2 for this show! The best moment to me was when you played October--the whole house went silent! There was so much emotion with the pictures from Syria, somehow reminding us of the Paris Attacks on a larger and more frightening scale... I loved this show! Thanks for playing Bad! What an incredible show on HBO! The fans in Paris were so passionate. I saw U2 at Madison Square Garden three weeks after the 9/11 attacks. Our city was still deeply wounded, our train was stopped because of threats but we made it to the show 10 minutes before the band hit the stage and it was such a healing experience for all those in attendance. Love did overcome the fear. I pray that my brothers and sisters in Paris will feel the same way. Fear cannot conquer the city of Love and Light. I hope this is not the final show of the I+E tour, we need more U2 healing and inspiration. Have a wonderful holiday to the band and their incredible crew that bring this show to life in every city. Thanks for the great shows this year, hope to see you soon. This must be the best concert ever. Tears with passing by of the names of the victims of 13/11 on the big video screen. With the encore, bad followed by one and finally EODM/U2 with a big statement. Words can barely describe the joy I had yesterday and I still have. I wasn't like any other show or any another closing night. 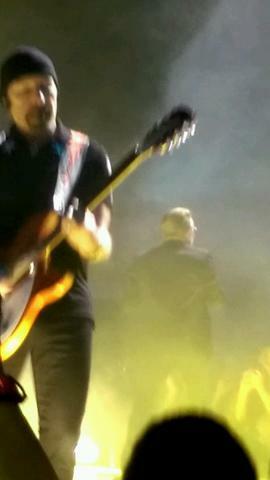 It was THE closing show and the best possible finale our beloved band could give us, bringing up EODM up on stage. I was blessed to drive to Vancouver BC from Seattle, Washington on Thursday – May 14th to watch my “all time” favorite group kick-off their iNNOCENCE + eXPERIENCE tour. Yes, I was very happy and excited to be in the midst of fellow U2 fans as we watched this awe-inspiring group put on a stellar concert. However, I must admit that tonight I feel even more connected to U2 fans throughout the world. In short, I am sitting here in my living room watching U2 perform in Paris via HBO; all I can say with a smile on my face and tears in my eyes is “WELL DONE”…..what a great tribute to the citizens of Paris! And yes, what a way to let the music play on for the fans of EODM. Hi, I'll be there tonight with 2 friends to celebrate freedom of speech! Thanks to come back and to support us! And a speciale note to Jean-Baptiste, who is coming with me as it's his birthday! New Years Day and Elevation!!! Whatever songs you choose for the set list, I will love it... But can you please play Elevation and New Year's Day?Can't wait to see you on HBO!!!! I travelled all day long to go Paris . I arrived at 9pm in Paris next to the Bataclan area . Now I am in safe at home (home sweet home) I hope all fan are like me safe ..... and thank you and respect guys .